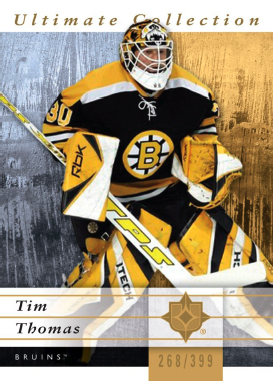 Here is a sneak peek and preview of Upper Deck' upcoming hockey releases and information about their booth at the 2012 Spring Sports Cards & Collectibles Expo which will feature Private Signings Autograph cards. 3 Signature Cards with 1 of those being an Autographed Future Watch RC, 12 Rookie Extended Series, 1 Future Watch Rookie Card, 2 Rookie Holo F/X cards and 2 SP Essentials. 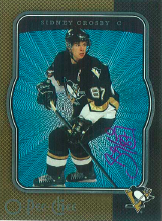 The Autograph Future Watch Rookie Cards will be also come in monster hit patch variations numbered to 100! 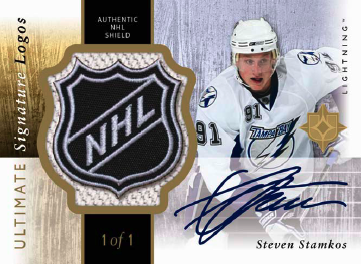 The set release date for 2011-12 NHL SP Authentic is 6/5/12. 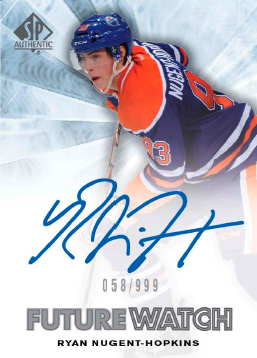 Each pack of 2011-12 Ultimate Collection Hockey will have 1 Autograph Card, 1 Rookie Card and 1 Memorabilia Card on average. Cases, on average, should yield 4 or More Patch cards, one to two 1997 Legends Autographs, 1 Ultimate Auto Rookie SP numbered to 99 and 1 Autographed Memorabilia Card. 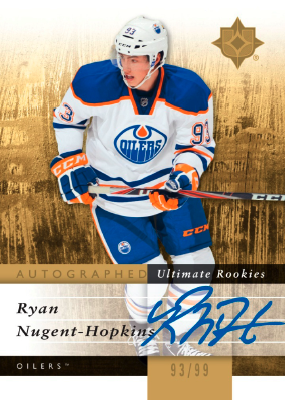 Chase cards in will include Ultimate Autographed Rookie Cards of the 20 top rookies for 2011-12 in SP’s numbered to 99 and Rookie Patch variations with 2 levels of numbering, to 25 and to 35. 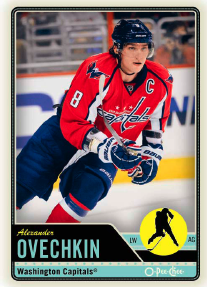 Each box of 2012-13 O-Pee-Chee Hockey should, on average, yield 32 Retro parallels, 8 Marquee Rookies, 8 Marquee Legends, 8 Rainbow Foil parallels, 10 OPC Stickers and 2 OPC Pop-Ups. 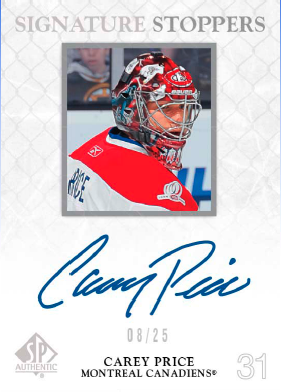 For a case break, collectors should expect to pull, on average, 4 Team Logo Patches, 2 OPC Signatures and 1 Team Canada Signatures. 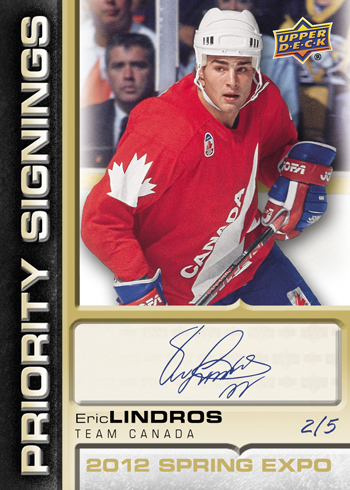 The inclusion of rare OPC Buyback Autos. 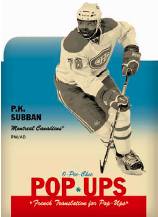 OPC Pop-Ups which includes 50 different “old school” die-cut inserts. Team Logo Patches which is a 100-Card set with 6 different tiers of scarcity. These include Patches from 1917 to present day with rare Expansion Era, Pre- WWII, Ceremonial and Cartoon subsets. These will be Hobby exclusive seeded 4 per case. Upper Deck has a lot planned for this year’s Spring Expo. 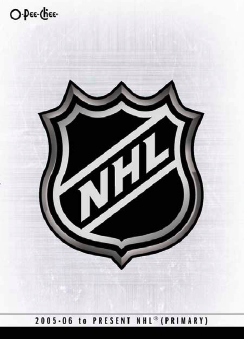 The biggest draw will be the 2012 NHL Priorty Signings Wrapper Redemption Program. 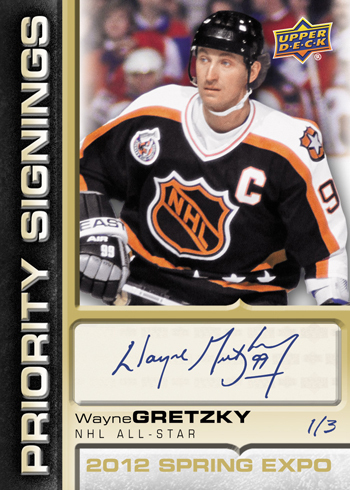 Here are advanced images of the Wayne Gretzky variation autograph cards showing him in an All-Star Jersey along with an Eric Lindros Team Canada card from the set. 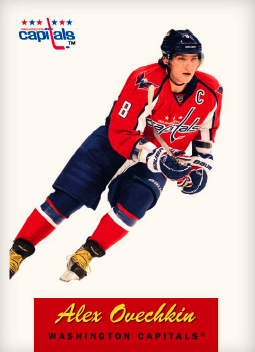 In addition to Gretzky and Lindros, the checklist includes players like Alexander Ovechkin, Sidney Crosby, Carey Price and Steven Stamkos. To get in on the Priority Signings wrapper redemption program collectors will need to purchase a box of 2011 NHL Parkhurst Champions, 2011-12 NHL Black Diamond, 2011-12 NHL Upper Deck Series Two or 2011-12 NHL SP Game-Used from a Certified Diamond Dealer at the show. You will receive a voucher that you can bring to the Upper Deck booth along with the wrappers from the box either on Friday, May 4 – 5:00 p.m. – 7:00 p.m., Saturday, May 5 – 10:00 a.m. – 12:00 p.m., or Sunday, May 6 – 11:00 a.m. – 1:00 p.m. Each voucher will be good for a free random 2012 NHL Priority Signings autograph card. 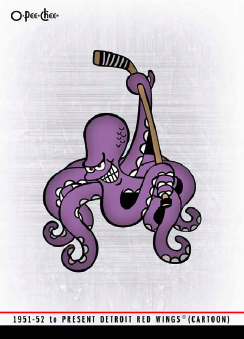 Upper Deck will also have plenty of eye candy on display and free raffles throughout the weekend too. 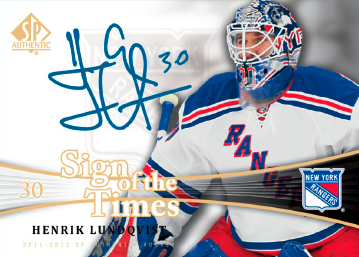 Another big addition to the Spring Expo is that Upper Deck will fulfill redemptions for customers at the show for the first-time ever. If you have outstanding redemptions with Upper Deck and would like to have them fulfilled or exchanged and available to pick up at the show, they will offer that service to you. 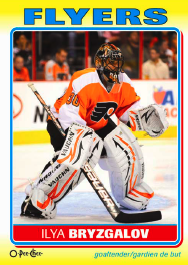 To take part in picking up your outstanding redemptions and replacements at the Upper Deck Booth you need to send an email to time2swap@upperdeck.com with the subject title “2012 NHL Spring Expo Redemption Program.” In the body of the email, please cut and paste the code and description of the card(s) you would like fulfilled or exchanged. In twenty words or less, describe the type of replacements you would like to receive focusing more on teams, regions and brands you are interested in rather than particular players if the card is not in stock. If you do not provide the information exactly as described, Upper Deck will not be able to honor your request. Because this is a new program, Upper Deck will only be able to assist with a finite amount of customers who are interested in participating. They will let collectors know once they cannot accept any additional requests. To pick up your cards during the show you will need to provide a government issued identification and sign for them in person. Only the actual card owners can pick up the cards, so you cannot pick up items for a friend. Hours for pick-up are Friday, May 4 – 2:00 p.m. – 5:00 p.m. and 7:00 p.m. – 9:00 p.m and Saturday, May 5 – 12:30 p.m. – 5:30 p.m. If you do not think you can be at the show on Friday, May 4 or Saturday, May 5, it is best not to make a request because if you fail to pick your cards up, you will not be able to request this service in the future and there could be additional delays in getting these cards to you. The 2012 Spring Sports Cards & Collectibles Expo is scheduled for May 4th through the 6th. I can't believe UD has preview images of next years OPC already. If it is anything like 2010-11 previews, they will probably end up changing the actual photos by release time. I've seen the SPA cards already and they aren't that much different from the last four years. Slight, subtle differences each year but ultimately the same. I'm sure I will still pick up a box or two. Thanks for the images.